Marrakech weddings, a real concept. Tamara and Omar fell in love in their home country, Netherlands. Then Tamara fell in love with Omar’s family country and culture : Morocco. 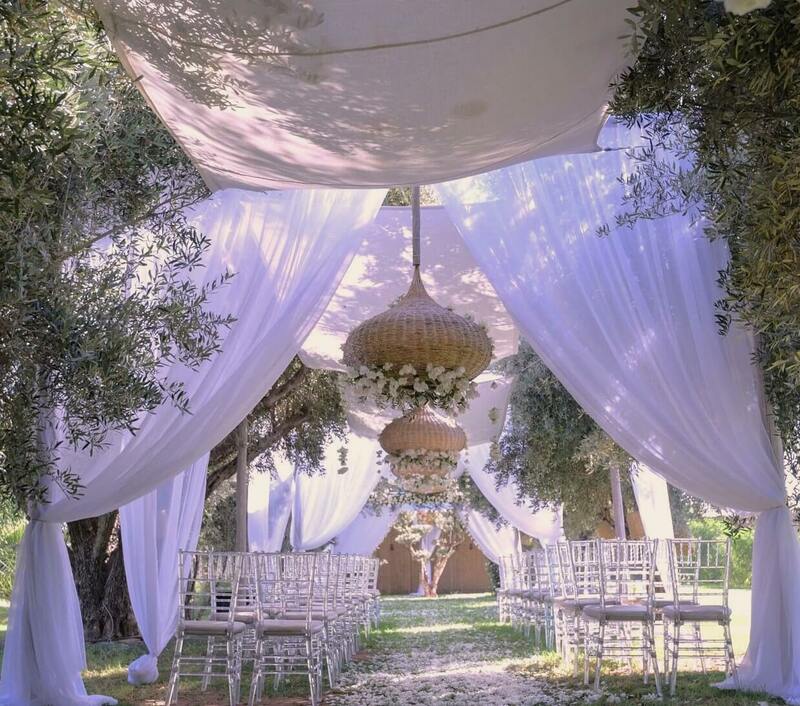 Then of course, the idea of Marrakech weddings was obvious ! And then, Tamara and Omar fell in love with Taj Villa, thanks to Instagram. So, they decided to take their best friends and families with them to celebrate a very particular and one of the best Marrakech weddings. Marrakech weddings are always different. The idea was to propose something pretty intimate with really close friends and family. That represented 45 guests ! Not so few ! After a very nice ceremony leaded by a close friend of the couple, a well-known dutch singer offering a real moment to the bride and the groom, everybody met on the rooftop terrace for a nice cocktail hour in this after-season October perfect weather. Then, everyone gathered around a long banquet table perfectly decorated and enjoyed a wonderful dinner with nice wines to come with. After the wedding cake the wedding party went very late with our DJ who adapted his playlists to please these special guests adding a lot of very popular dutch hits for joyful guests surprised to hear their popular sounds in the heart of Morocco ! Day after also brought some surprises. Let’s go for a quadbike ride in the desert, and there…in the middle of nowhere…guests see some strange scenography far away and coming close realize that a special mint tea and Moroccan pastries break has been created only for them, in the middle of nowhere, at the Taj Villa wedding Secret Spot. 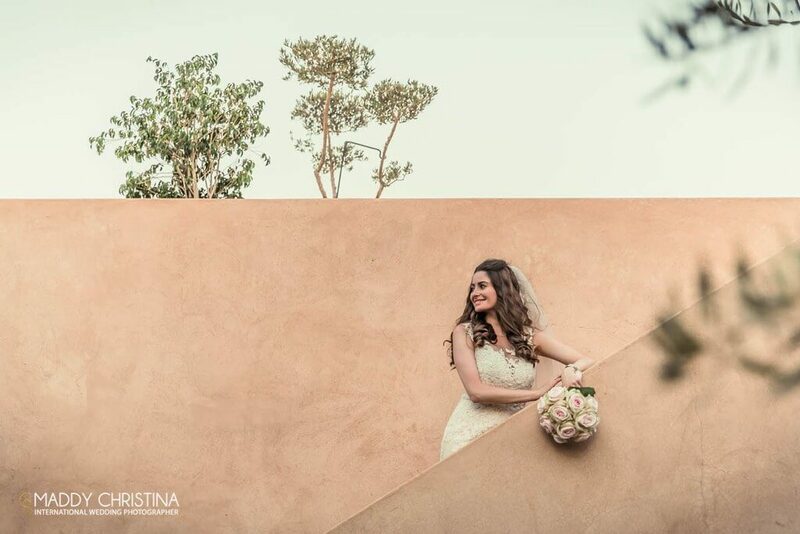 That was the final touch of what will stay as “Tamara’s masterpiece” in the history of Marrakech weddings. Another true moment of love, emotion and friendship at Taj Villa Marrakech and Secret Spot Marrakech. What a wedding planning Marrakech team !